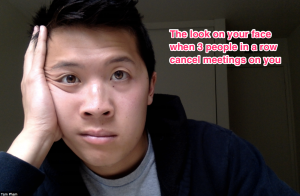 The worst thing that happens when someone books a meeting with me is when they never show up to the call. Their responses never surprised me. I would wait at least 15 more minutes until they were ready to talk and by that time, I had another call in 15 minutes that I didn’t want to be late to. Just when I was thinking about this, one of our Bot Academy students posted a solution to this problem in our private community! 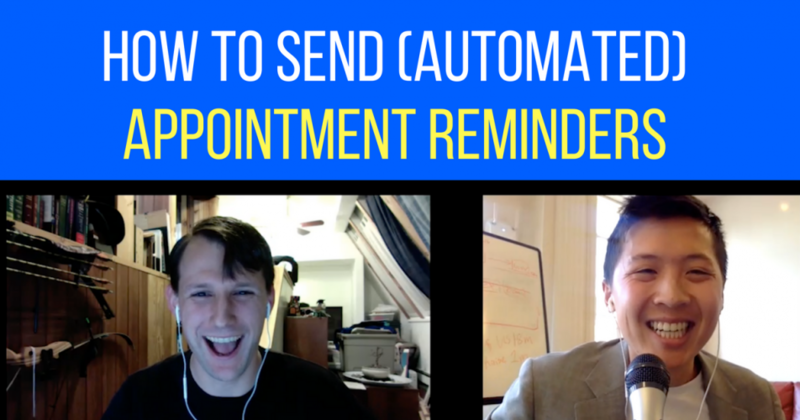 Richard setup Zapier to connect with Acuity Scheduling (or any scheduling software) to Messenger so that all his clients would get an automated reminder to make it to his meetings on time… and it worked! I told Richard that we had to get on a call immediately and he showed me (and now you will see it too) how to set this up step-by-step. Watch the video above to learn how to set this up for yourselves! Can we teach you how chatbots can massively grow your business? We want to share with you our 23 page guide. What Every Marketer Needs To Know About Chatbots. Can we send it to you via Facebook Messenger?